The quest for a director to helm the 25th James Bond movie may finally be over. After a few weeks of speculation, Danny Boyle has confirmed he's at least writing the movie's script, and may have actually confirmed he's directing it at the end of the year. “We are working on a script right now. And it all depends on that really. I am working on a Richard Curtis script at the moment. We hope to start shooting that in 6 or 7 weeks. Then Bond would be right at the end of the year. But we are working on them both right now. I'm not going to go as far as other sites by saying Boyle is confirmed to direct Bond 25. He sure sounds like he wants to and has made plans for it, but as he himself says, "it all depends on how it turns out." That includes winning over Bond producers and Daniel Craig with Hodge's screenplay. Boyle is the only reason they are willing to delay filming so long, and if the script isn't up to snuff then they'll fall back on the script by franchise regulars Neal Purvis and Robert Wade. So let's look at this in a half glass full way. 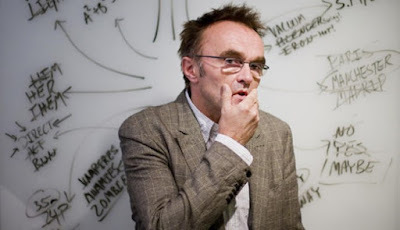 Danny Boyle would look to be on board to direct Bond 25 and have it done in time to hit the November 2019 release date.